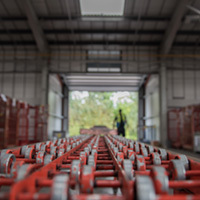 Established in 2002, Station Couriers have grown to be able to offer a wide range of parcel and pallet delivery services to sole traders, limited companies and members of the public. We are conveniently situated in Newtown, Powys with lots of car parking available for visitors. Station Couriers are very proud to have won the Judge’s Award at Powys Business Awards 2017. The judges of the awards were very impressed with the passion and culture within the business. Read more about us winning the Judge’s Award here. We are a family run business and all of our staff have a clear vision of how we run operations at Station Couriers. Our team are all highly trained and are excellent at their roles within the company. – Claire Austin, Hardy Plants Ltd.
Station Couriers is a fast growing business. Originally, we were situated in a 745 sq. foot unit on Mochdre Industrial Estate in Newtown. We started to outgrow that unit and in 2013 we moved to a different unit on the same estate, which is 40,000 sq. foot. We are now realising that we are slowly starting to outgrow this unit too so soon we may need more space. On parcel services we can offer competitive rates with overnight, timed and Saturday morning deliveries within the UK. We also offer free online tracking of your parcels so you can check on their rapid progress through our system. 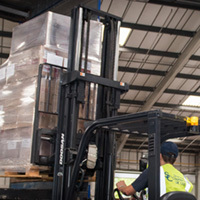 With pallets we can offer competitive rates on overnight, economy (up to 3 working days), timed, booking in service and Saturday morning deliveries within the UK. All pallets can be delivered on a tail lift lorry free of charge if required. 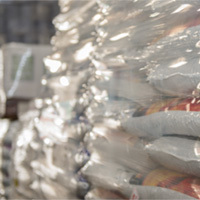 As we are a relatively small independent company, you can rest assured that we will know exactly who your parcel or pallet is with at all times. Both parcel and pallet services offer free full track and trace so you are able to follow your delivery’s progress through our network. Signatures (or PODs) can also be obtained after 10am the following day for next day deliveries. We have a constantly expanding fleet, with four new lorries, two of these being brand new which were added towards the end of 2017. These lorries allow us to operate and increase the amount of deliveries we are able to make each day without decreasing our reliability and speed. Station Couriers pride ourselves on our flexibility and quality of service. We can adapt our services to fit any unusual or specific requirements, just ask us for a quote here. We can also offer same day deliveries subject to negation and practicality. In addition to our international air service, we now offer a full European road service to provide you with the best possible service for your money.